Local singing star John Morgan will sing at the Frittenden session on the 27th January, starting at 8pm. 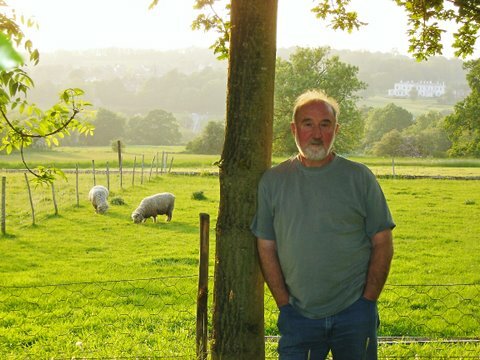 John has a fine style and an excellent voice, and specialises in traditional songs, frequently those of the South-East and often accompanied by his melodeon. 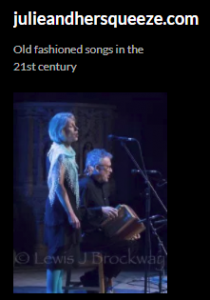 However, John also finds space for modern songs in his repertoire, many of which were written by friends – but when you realise just how many of the folk scene’s well known names are old friends that comes as no surprise. Our sessions at Frittenden’s Bell & Jorrocks pub start at 8pm and are informal and free, with lots of old-fashioned and traditional songs and tunes, perhaps a little stepdancing and a big emphasis on variety, humour and entertainment generally. If you liked your pub the way it was before the telly and the computer came, this is the event for you. You don’t have to be a performer in order to join us, but if you are, why not bring a song, a tune, a story or a poem yourself? We’re also launching a series of tunes sessions! 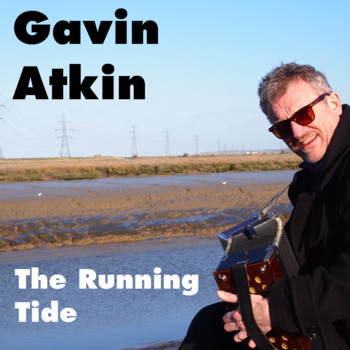 Join us for First Sunday tunes at the Gun and Spitroast on the first Sunday of each month from around 8pm, starting on Sunday the 7th October. The idea is to play a good mix of tunes, including whatever people bring along, as well as our own favourites, and a good helping of the tunes folks have been been looking at during the Wednesday night classes. By the way – the free Wednesday trad music classes start again on the 12th September. As usual there will be lots of slow practising and working ways of making tunes come life! 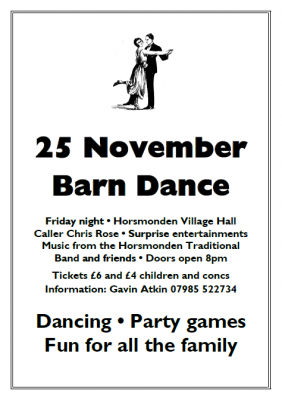 The Horsmonden Traditional Music Class is proud to present an evening of barn dancing and party games at Horsmonden Village Hall on the night of the 25th November, starting at 8pm! Details are to come, but the caller will be local boy Chris Rose, and we are planning a few surprise entertainments! One thing we can say is that there’s no bar but you are welcome to bring your own! Download our magnificent poster here. 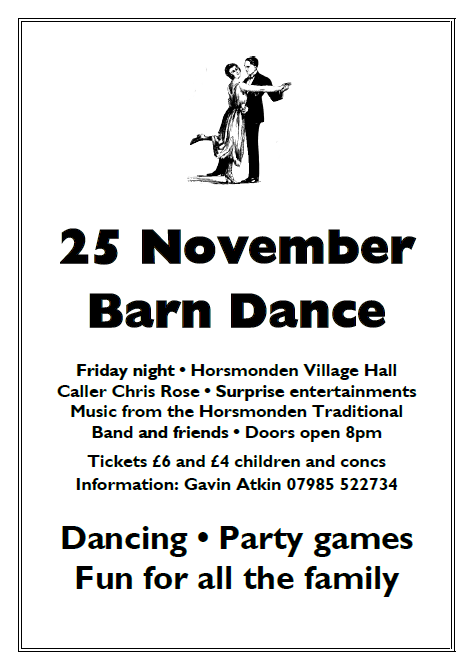 We’re also planning the 2012 Frittenden Old Fashioned Night Out and it’s associated sessions, though we don’t yet have too many details. It’s to be on Saturday 31st March 2012. More information will appear at http://frittendenfestival.com as it becomes available.